What are the groups of antibiotics which can be and which can not be given via intr peritoneal route? 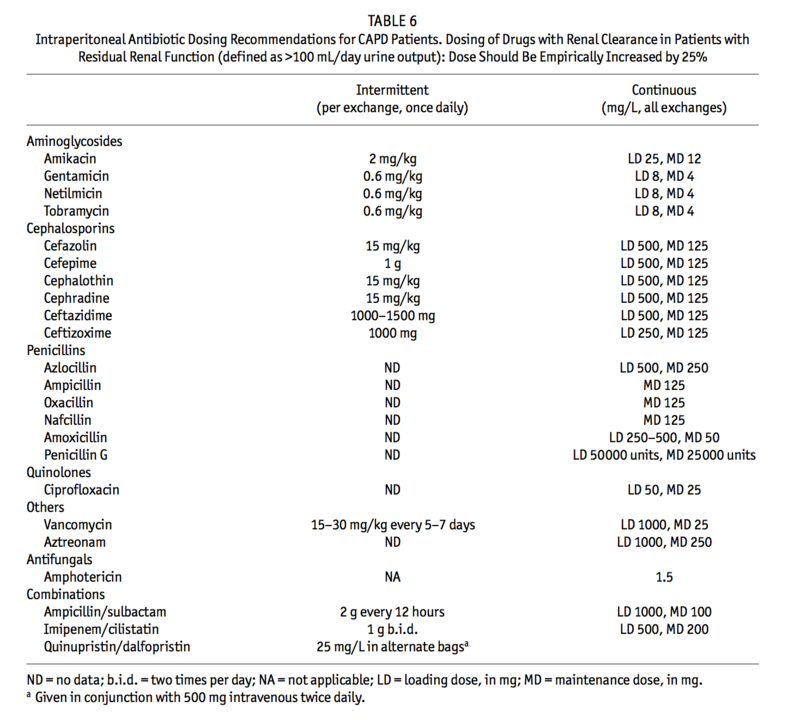 The following is a nice table from the ISPD guidelines. I have included a link to the reference below as well.